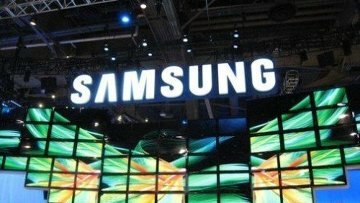 Copyright owners' union ready to sue Nokia and Samsung | Russian Legal Information Agency (RAPSI). MOSCOW, March 16 - RAPSI. The Russian Copyright Owners' Union is determined to sue Nokia and Samsung due to copyright violations, RIA Novosti reported on Friday. Russian record companies maintain that Nokia and Samsung evade paying fees for copying purchased content. According to Karina Abramyan, the deputy director of the Melody company, the fee for copying content is secured by the Civil Code of Russia as well as international conventions. There is a certain procedure for paying fees through the authorized organization, namely the Russian Copyright Owners' Union, she said. This practice is a standard all over the world, Abramyan noted. Nokia and Samsung fully comply with this norm in other countries, but in Russia they feel free to respect others' intellectual rights only in an arbitrary manner, she added. The Union supports the record company, Sergei Fedotov, the union's general director, reported. According to him, the debt of Nokia and Samsung already amounts to more than 1.2 billion rubles ($40.86 million). He also noted that Nokia and Samsung are not the only companies violating the law, the blacklist contains about 20 companies. 10:45 16/03/2012 The Russian Copyright Owners' Union is determined to sue Nokia and Samsung in the court due to copyright violations.